Fancy a beach holiday in the Mediterranean? Of course you do. If you’re after an all-inclusive poolside jaunt, or just a place to lay your head in-between diving or visiting historical ruins, compare hotels in Malta to help you find the right one for you. Whether you’re looking to enjoy a week by the pool sipping cocktails or you want to enjoy a diving holiday in the coves and bays of Malta’s coastline, we think the right hotel is just as important as your itinerary. But how to find that perfect combination of luxury and affordability? Look no further. Your prayers have been answered – we have the lowdown on Maltese accommodation for your delectation. From fabulous five-star luxury to cheap and cheerful hostels, Malta has plenty of places for you to lay your head down. For those travelling on a budget, the cheap way to visit Malta is to stay in a hostel. You can enjoy a Maltese hostel – like the Inhawi Boutique – from as little as £15 per night, especially if you book your room well ahead of your stay. Those looking for a more upmarket stay, perhaps in a more authentically Maltese locale, might enjoy a stay in the Dar tal-Kaptan on Gozo. Coming in at around £90 per night in the off-season, it’s a rural village hotel that offers bed and breakfast only. Similar accommodation, for the slightly cheaper price of £60 per night, can be found in the Luciano Valletta Boutique – a guesthouse squeezed above a café-restaurant. The different board types you could experience on holiday may seem overwhelming, but they’re actually quite simple. The names all refer to what’s included in the price of the hotel. Room only and bed & breakfast (B&B) are self-explanatory. Half-board includes one other meal beyond breakfast, often dinner. Its name refers to the type of holiday you can enjoy, but all-inclusive includes – as it suggests – everything. Not only do you get the price of flights included in the cost of the holiday, but the cost of meals will also be included. Some hotels throw in a certain number of drinks (limited to a few types) per day, and some even chuck in access to some of the entertainment. Several hotels in Malta offer all-inclusive deals at a range of prices. The Relax Inn Hotel offers its rooms at around £50 per night, while the Dolmen Hotel Malta is more than twice that at around £130 per night. There’s no universal standard for star ratings, so what is four stars for one country might only be three in another. Where used, star ratings are mostly to do with the quality of service, amenities, and the general luxuriousness of the accommodation itself. So, the best rule of thumb is that the more stars a hotel has, the higher quality of stay you’ll enjoy. Brits will feel at home in Malta, as the Maltese drive on the left! Malta offers several five-star hotels. You’ll find the usual chains like Hilton and Radisson Blu, but there are plenty of independents as well. You might enjoy a stay at the Kempinski Hotel San Lawrenz, for example, located on Gozo. It’s situated near the famous Azure Window, and is well-known for its spa. Rooms can go for about £200 per night. Alternatively, you may wish to try the Xara Palace Relais & Chateaux. A converted palazzo, it offers its rooms for a similar price. At the very top price bracket is the Casa Ellul, rooms in which might be as expensive as £280 in peak holiday season. A coastal town on the island of Malta itself, St Julian’s is named after - surprisingly! - Saint Julian, also known as Julian the Poor. The town is anything but poor, and its hotels reflect that. The be.Hotel offers a modern, comfortable night’s stay for around £90 in the off-season, making it a relatively good budget hotel. A more upmarket option is the Westin Dragonara Resort, a five-star family-friendly hotel on the Dragonara Peninsula. As the capital of Malta, Valletta has the lion’s share of hotels, good and bad. The two-star British Hotel compensates for its modest rooms with some excellent views of the Grand Harbour, and prices itself at about £100 per night all year round. More impressive and expensive is the Phoenicia, situated by City Gate. A favourite of Queen Elizabeth II, its opulent rooms cost about £200 per night. So, if you’re looking for a good hotel in which to relax after sunning yourself on the beaches of Malta, we can help you find the right one. We’ll compare by board type, star rating and more to ensure you get the right hotel to suit your budget and your needs. 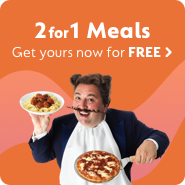 Just sit back, relax, and go compare!